The Mini Cooper is an iconic vehicle with a cult following. People of all ages and from all over the world love the unique design and features that make this vehicle so special. The British Motor Company (BMC) originally created the Mini and its successors until 2000 when the company was acquired by BMW. The original Mini is such a beloved and iconic vehicle that it was even voted to be the second most influential vehicle of the 20th century. The car was even a main component in the movie The Italian Job. With cars like the Mini, it is important to make sure that you are taking the best care of the vehicle and are following up on maintenance. Keeping detailed records of maintenance and work done is a wise move. Yet, even with fantastic care, the Mini Cooper may still experience car troubles from time to time.One issue that some Minis face is power steering pump failure. The Mini Cooper uses a system called electro-hydro power assisted steering, which is a combination of electric and hydraulic power steering systems. In this system, an electric motor is used to drive the hydraulic power steering pump rather than using a belt. This system allows for the car to use less horsepower while ensuring the car handles well. However, the problem with the electric-hydro power assisted steering method is that the system causes heat build-up, which can cause problems with the power steering. Heat is the enemy of most car parts, specifically electrical parts. This will reduce the life of the car parts and will cause more frequent part replacement. The more you push your Mini Cooper while driving it, the harder the pump is working, and as a result, a lot of heat is produced. In addition to heat production, the pump is located below the exhaust manifold, so even a smooth drive will cause the temperature of the pump to rise. A fan is located near the pump that provides cool air over the pump, but the fan is located on the vehicle at a point that is exposed to the road, so it often fails due to being hit by road debris. The more the pump is exposed to heat, the faster it will fail. When the pump does fail, it will overheat or seize. The steering will freeze completely, if the pump fails because it is no longer using the hydraulic pump. This will cause the steering wheel to feel incredibly heavy and your vehicle will function as a manual. If you are driving and your car’s power steering begins to fail, the first step is to stay calm and not to panic. Your vehicle will still have manual control and you will be able to pull over and get off the road. The solution to a power steering malfunction is generally to replace the pump assembly entirely. It is important to speak with experts to make sure that it is the pump that should be replaced. In some cases, the fan may be broken which would cause your power steering pump to fail again if it is not also replaced. Determining the root cause of the issue is important and will help you save money in the long run. 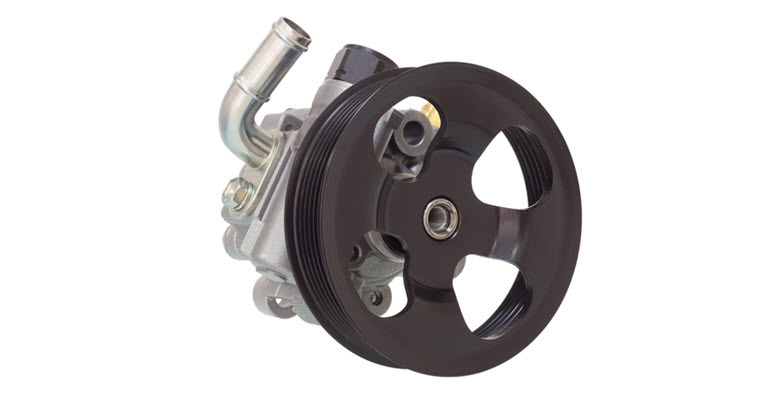 At German Motors and Imports we are dedicated to quality service and have skilled technicians who are able to help you identify if you may be experiencing a power steering pump failure on your Mini Cooper. Convenient to San Diego, La Jolla, Pacific Beach, and Clairemont, CA, our service technicians are always there to get you the help you need. We aim to provide each of our customers with customer care and service that is reliable and trustworthy. We care about establishing a relationship with our clients to provide repairs and to aid in vehicle maintenance. Here at German Motors and Imports it is our goal to help our clients with preventative car maintenance, so that you will be confident that your car’s performance will be reliable. If you are concerned that your Mini may have power steering failure, contact our offices to schedule an appointment with one of our experts. To learn more about other services we provide, visit our website or give us a call. * Mini Cooper Parked On Street image credit goes to: bruev.